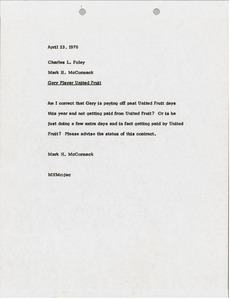 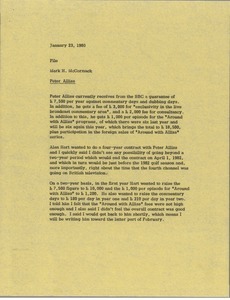 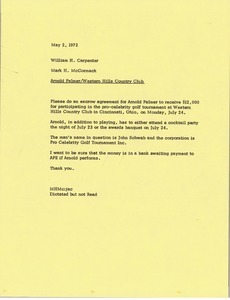 McCormack notes Peter Alliss' guarantee and fees from British Broadcasting Corporation, a possible four year contract and an increase in his fees. 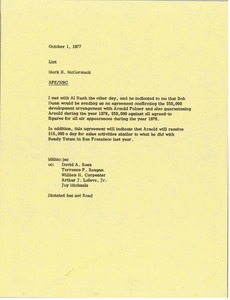 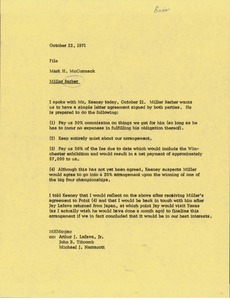 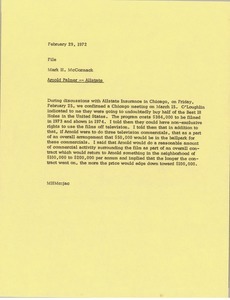 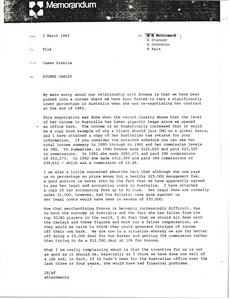 McCormack notes his conversation with Mr. Kenney regarding Miller Barber's agreement. 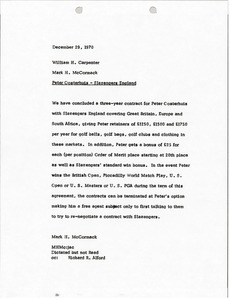 Barber wants a letter of agreement regarding commission, keeping quiet about the arrangement, fees including the Winchester exhibition, and an arrangement upon winning one of the big four championships. 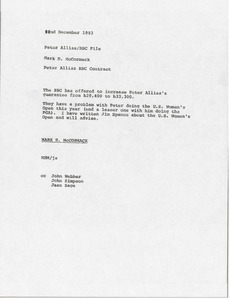 McCormack notes that the British Broadcasting Corporation has offered to increase British golfer Peter Alliss's guarantee.